Having two toddlers on my hands, I’ve learned a thing or two the last few years about practicing good oral hygiene with our kids. I want to show them early how vital their teeth are and everything they need to do to take care of them. I noticed when my oldest turned 2, brushing his teeth started to turn into more of a morning battle (got to love the terrible twos). We switched up some things with our morning and bedtime routine to make brushing our teeth more of a fun experience with the kids so that there were less battles and more brushing and it’s worked! Now my oldest who is 3 shows our youngest daughter who is 1 the right way to brush her teeth every morning and I’ve had no tantrums since! Here’s some tips that have worked for us. 1. Make it fun! – Make a fun game out of it like throwing a rock concert while brushing your teeth or see who can brush the longest. 2. Brush your teeth with them – Lead by example and show them how much fun they’re missing by watching you. 3. Add some characters – There are so many fun character toothbrushes out there for kids these days. Make sure when you’re choosing the right one for your child that you’re considering the age and size of the toothbrush and bristles. My kids love the Bubble Guppies so they’ve been so excited to brush, because they get to use their Bubble Guppies toothbrushes and toothpaste in their morning and bedtime routine. Orajel™ Kids also features Thomas The Train, Elmo, and My Little Pony in their training toothpaste. 4. Use a fun timer – You can use just a plain old kitchen timer and make a game out of it or if you’re feeling creative make a fun glitter sensory bottle and have them brush their teeth till the glitter settles at the bottom of the bottle! 5. 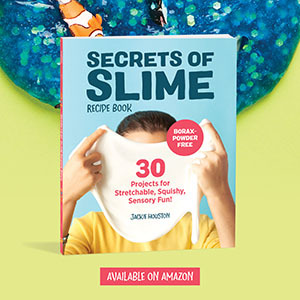 Sing a song – Make up your own silly song that the kids can sing while you brush. 6. Make a sticker chart – This is always seems to work for everything, we use one for potty training so why not for brushing their teeth? You can have rewards like a new toothbrush when it’s filled in. I’ve seen a ton of free printable charts on pinterest! 7. Use the mirror – Because every toddler loves to look at themselves when they brush. My two are always crowded around the mirror when they’re brushing. 8. Tasty Toothpaste – Make sure your using a toothpaste that tastes good. We’ve always used Orajel Kids, which features fun mild flavors that the kids will actually enjoy. 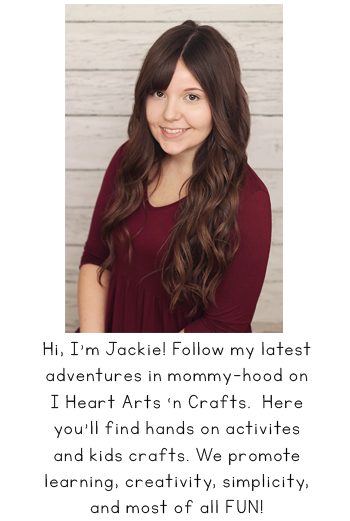 They also offer fluoride- free options that are non-abrasive for your younger ones who are 3 months to 2 years for gentle cleaning. 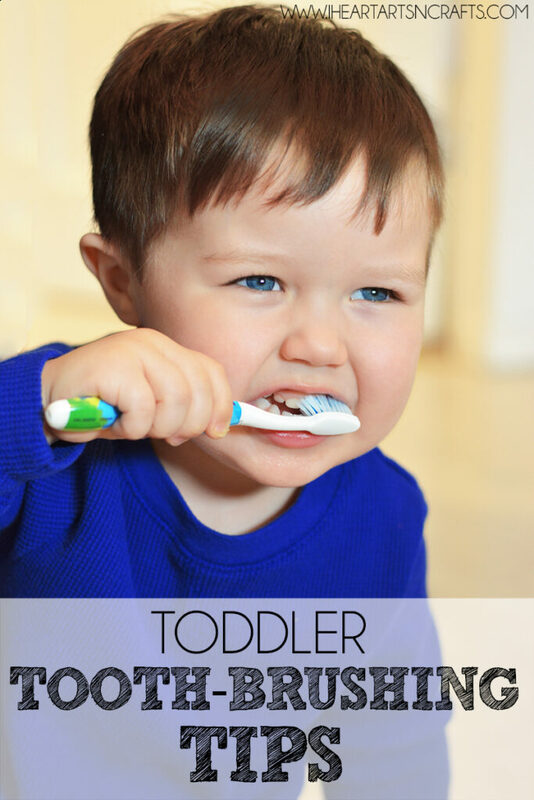 And remember when practicing good oral hygiene with your kids to start early! 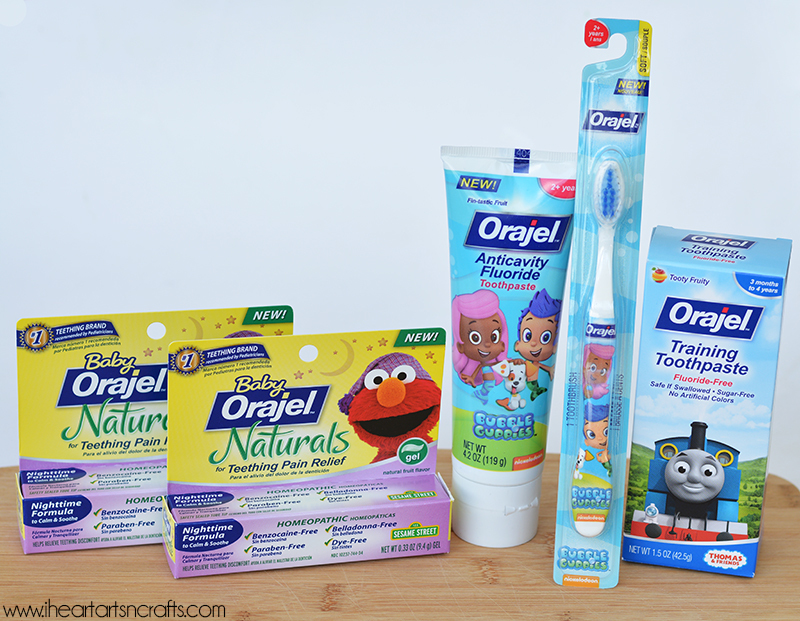 Orajel Kids offer a wide variety of products for kids 3 months and up from training toothpaste, fun character tooth brushes, and teething pain relief products (our go to product for when my kids were teething!). My daughters favorite is her My Little Pony toothbrush that she loves to use while she mimics her big brother brushing his teeth! Orajel Kids has an entire line of products to help your kids reach their Smilestones, and today we’re sharing a coupon so you can save on your next purchase! Just click here, print and redeem! Orajel™ Kids wants to celebrate your child’s “Smilestones”, from their birthday celebrations! Orajel Kids is giving you the chance to win a $2000 Visa Gift Card to throw your next child’s birthday party! To enter, head over here and complete the form then upload a picture of your child’s best smilestone. 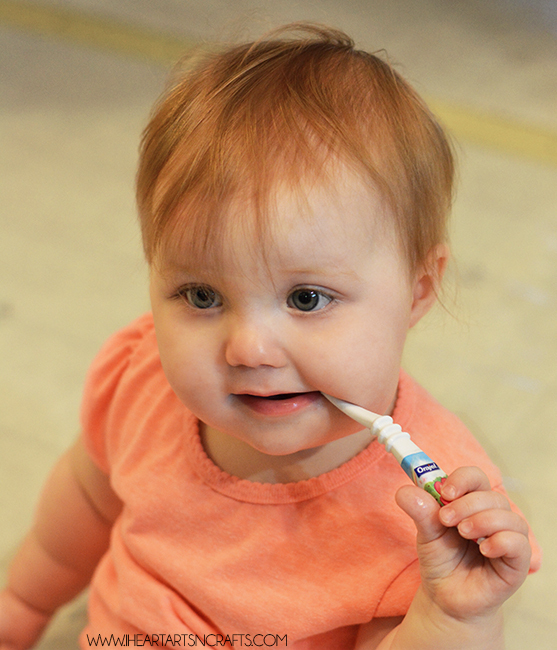 What are some of your families tips for encouraging good tooth brushing habits with kids?